My Christmas tree only has ornaments that have personal meaning for me. So yes, I have a WordPress ornament. 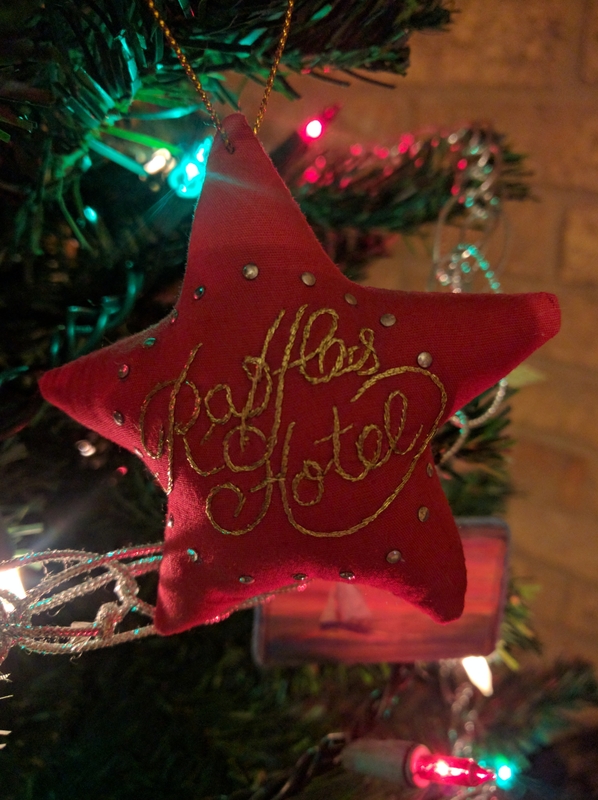 Plus an ornament from one of my favorite places in the world. via Ten Years of Automattic | Matt Mullenweg. When I was still running my old business, I always had in my back pocket the idea that if I were to ever close up shop and work for The Man again, there would only be one man I’d want to work for, and that’s Matt Mullenweg. I’ve been a WordPress user and fan for years, but I’ve also been kind of a Matt groupie, ever since I read his “How I work” profile in Inc.
It’s kind of weird now to actually be working for Matt, be on a first-name basis with him, and even get to chat with him now and then. But now that I’ve been here for just over a year and have become a part of the Automattic, I’ve come to realize that the WordPress and open source communities are bigger than any one person. While there’s a part of me that will always be a tiny bit starstruck by Matt, I’m in even greater awe of how much this little software project has grown to power nearly a quarter of the Internet. It lets everyone from giant media organizations like the New York Times and Fortune to mom bloggers with hyperlocal audiences have a global platform from which to share their ideas, their vision, their message with the world. And heck, you can even do it for free. Remember the days when you needed to get the word out about anything, even if it’s just your neighborhood yard sale? Or when beautiful, innocent animals would perish in local shelters, forgotten because they received so little attention, and municipalities and volunteer groups struggled to get any kind of media attention? Now, if you have a message, you have the means to blast it out to the world, and at no cost to you other than your time. I’m still in shock that this has all come about in such a short period of time, but most of all I’m so incredibly proud to be a part of the company driving this forward and inspiring so much change. We’re celebrating 10 years of being in the biz this week, and I can’t wait to see what the next 10 will bring. WooCommerce joins the Automattic team to make it easier for people to sell online. via Woo & Automattic | Matt Mullenweg.